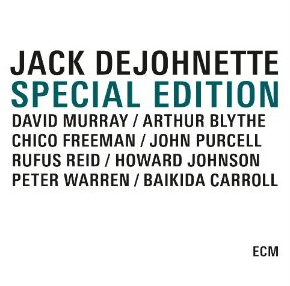 John Fordham reveiws Jack DeJohnette's Special Edition 4 disc collection for The Guardian UK. This terrific disc collection brings together DeJohnette's various Special Edition bands between 1979 and 1984 - a period featuring the most broad-based and ambitious composing he has ever attempted. Read the full article here.